Chocolate cream to die for oozing out as you sink your teeth into an éclair, bewitchingly tart lemon meringue that evokes family Sundays, your first taste of rum baba and Paris-Brest; pâtisseries bring back memories and become synonymous with the pages of the book of childhood. You will find all this heartwarming ambiance and a sense of happy nostalgia amidst the pretty pink highlights of La Pâtisserie des Rêves. The artisanship here is all in the service of those wonderful traditional recipes of which we never tire. The celebrated chef Cyril Lignac also perpetuates this tradition while adding a subtle touch of modernity. For example, his rum baba is enhanced with a delicate apricot glaze that mingles exquisitely with the choux pastry and whipped cream. 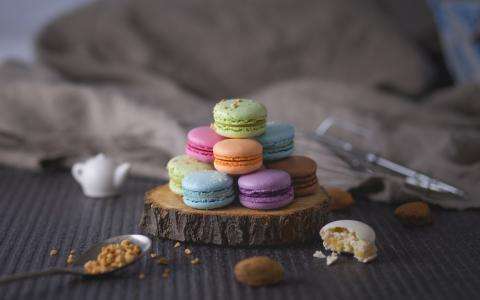 However, you might wish for a change from tradition and opt for pâtisseries that offer innovation and a concept to surprise both your eyes and your taste buds. With its four shops in the four corners of Paris, Éclair de Génie proves from day to day how simply a recipe can become a true masterpiece. You will be spoiled for choice with the selection that ranges from the most classic dark chocolate - a carefully selected grand cru renewed each month - to the most original such as light yuzu lemon meringue or a praline Barlette. Claire Darmon, in her Des Gâteaux et du Pain (cakes and bread) shops, works with seasonal fruits to compose sublime pâtisseries. Floral flavours, fruits, beans and more go to make up her magical recipes. Finally, the team of your Hotel Auteuil Tour Eiffel warmly recommends the original creations of Sadaharu Aoki. This chef, who is Japanese by birth but French at heart, uses the best of both gastronomic cultures to create sumptuous pâtisseries. Inspired by traditional French cakes, mille-feuilles, éclairs, fraisier cakes and black forest gateau, this pastry genius adds Asian touches that create surprising combinations. Green tea is added to the crème pâtissière of an éclair or a mille-feuilles. Red bean paste, the basic ingredient of Japanese cuisine, finds a natural home in an egg custard or a Swiss roll. Fascinating and irresistible!